The whole drive was spectacular. 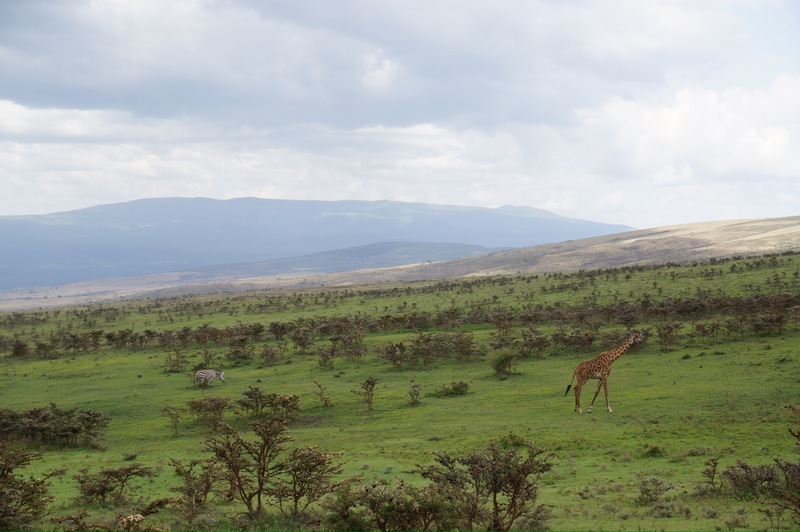 Leaving the crater takes you into an adjacent valley, which is equally lush and green with Massai villages lining the inside, and young Massai herders weaving their livestock through a few zebras and wildebeests that share the valley. 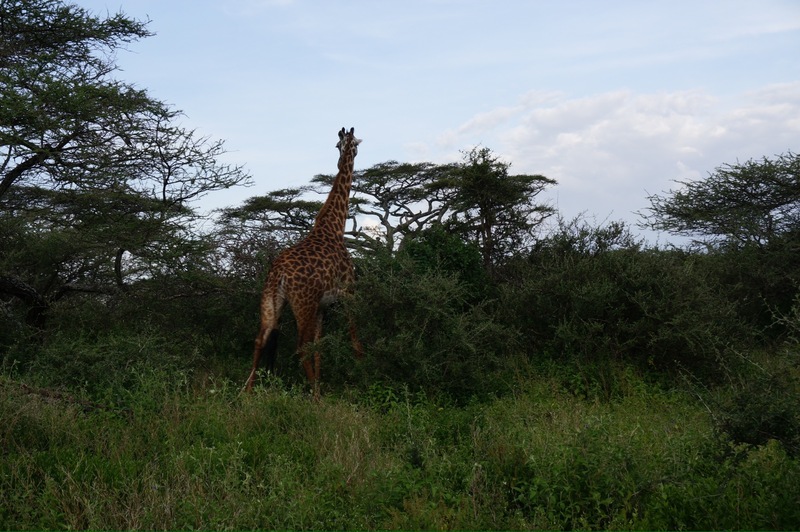 We even saw a handful of giraffes there just snacking in the trees. 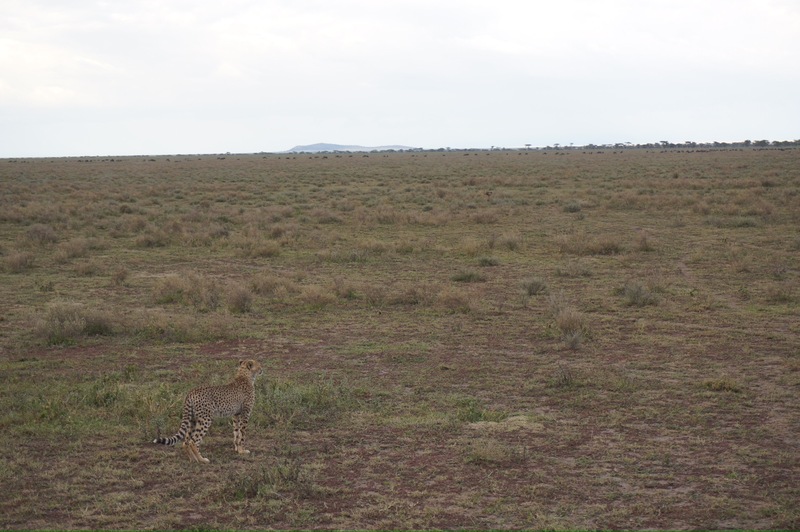 Once we got into the Serengeti, Alex took a surprising sharp left turn off the road and headed out into the plains. 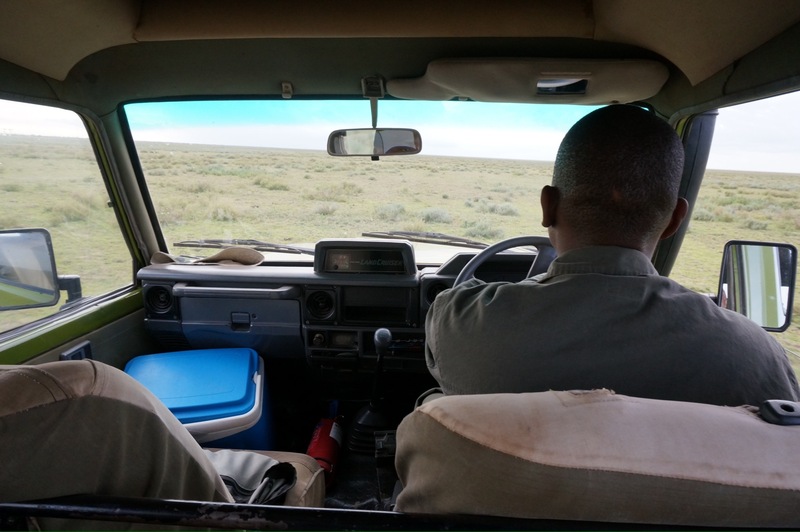 There were no roads, no end in sight, no other vehicles, and plenty of wildebeests, gazelles and hyenas to keep us entertained. Pretty unexpected and very cool. 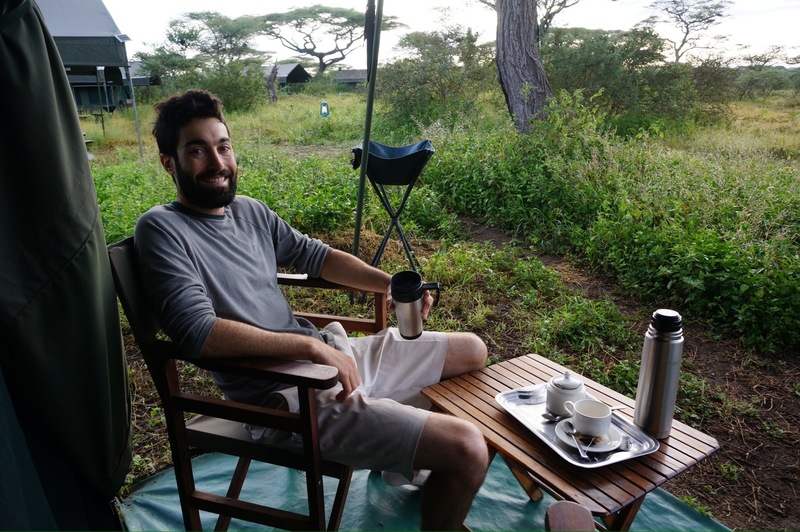 In the Serengeti, we stayed at one of the semi-permanent Halisi Camps (ours was called NunguNungu), which consists of a dining area and about a dozen large private tents. 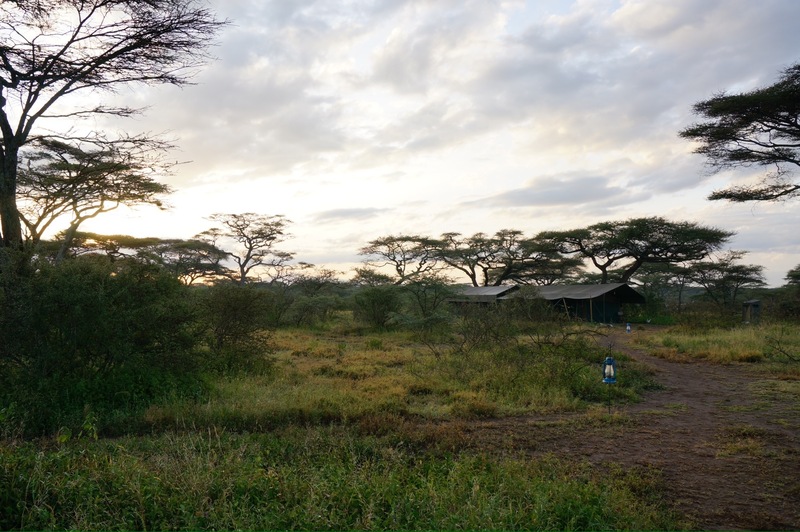 There is no electricity or running water — they use a pulley system to lift one bucket of warm water per person per day above your tent, which then flows through a shower head inside. 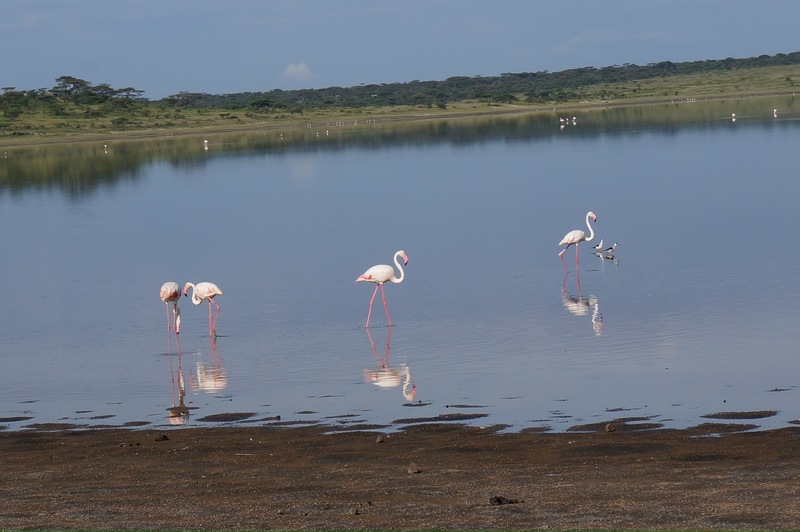 The Halisi Camp was an amazing experience. 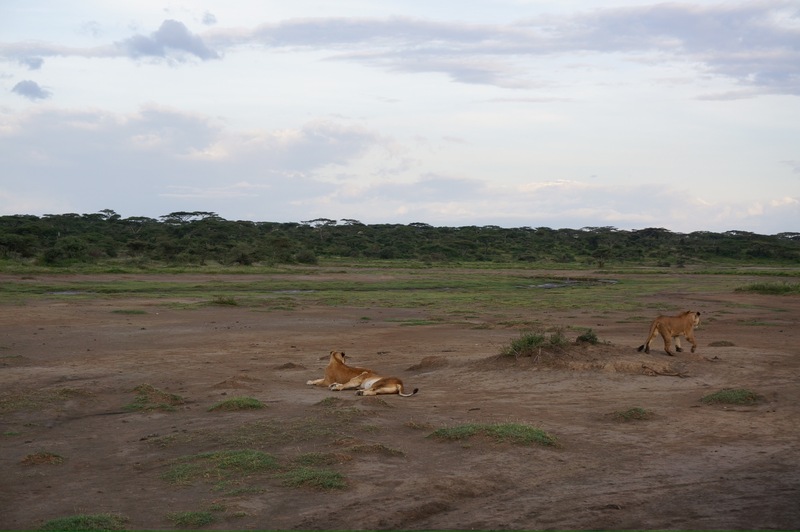 You are living right in the middle of the Serengeti. You are not allowed to walk around at night unescorted, and spend little time doing so during the day either. 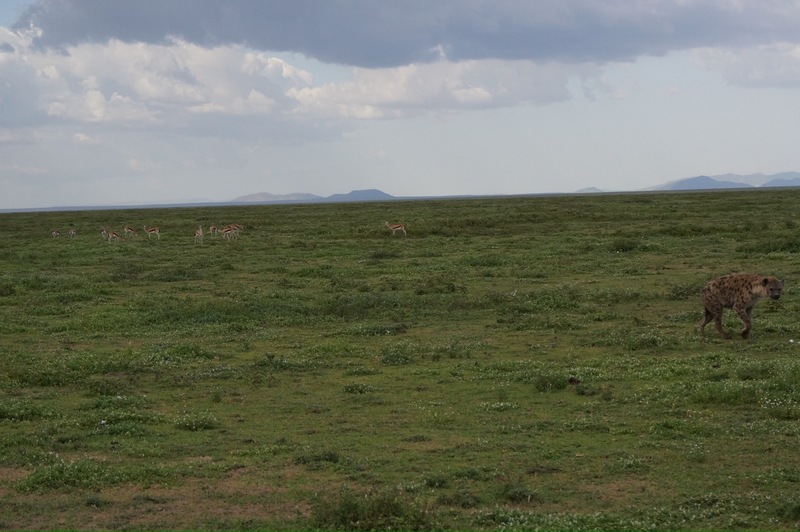 Elephants, lions and buffalo are known to wander through. 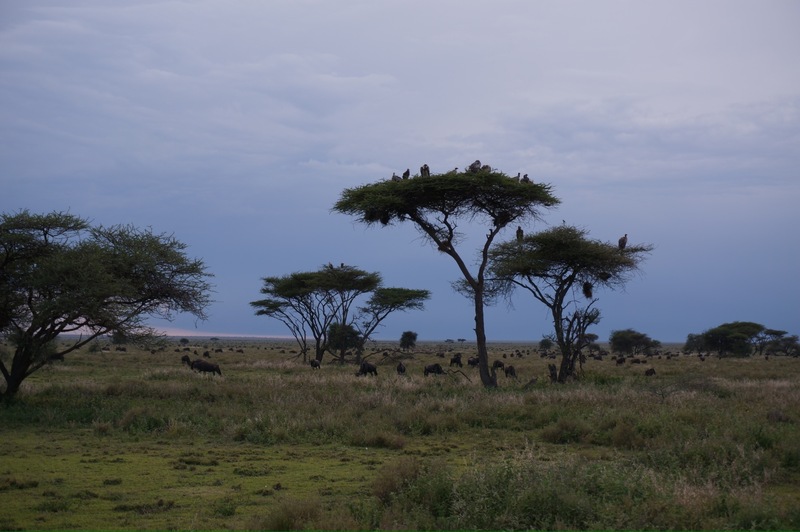 We had several buffalo grazing behind our tent one night, and the host insisted that we not step outside — buffalo can be the most aggressive, often more dangerous than lions or elephants because they are more likely to charge. 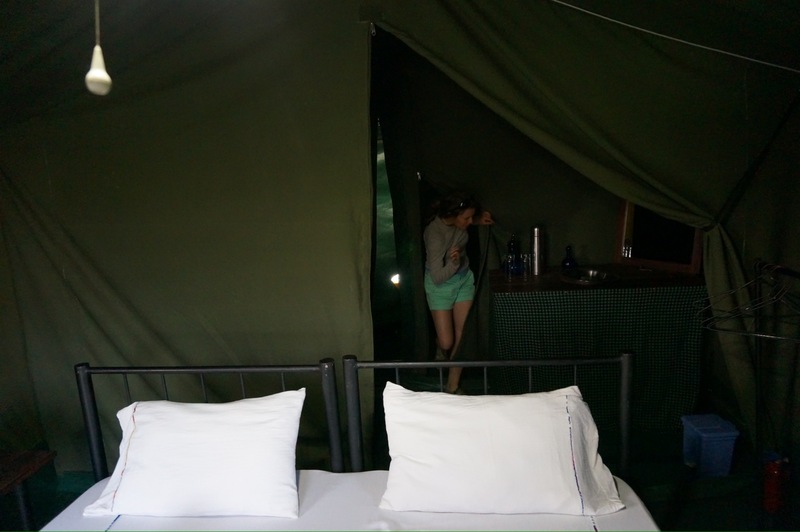 One of the coolest parts of the camp was the “white noise” at night. 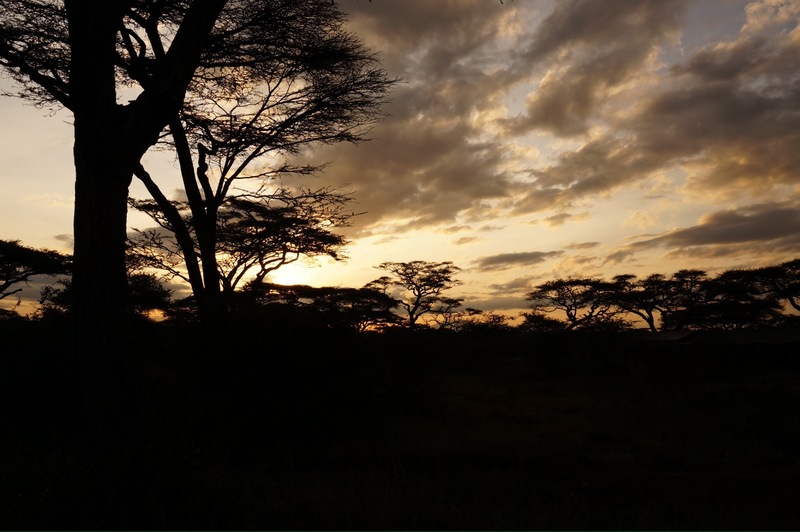 You have never heard such a cacophony of different creatures’ sounds quite like the Serengeti at night. We slept like absolute babies/stones/logs. Sitting outside early the next morning to have a fresh cup of coffee (for me) or tea (for Jill) was heaven. 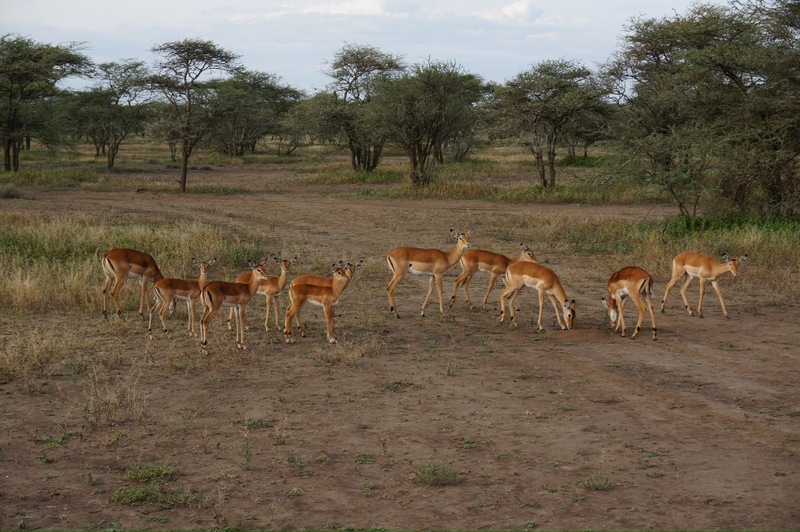 After an early breakfast we got into the car and took off into the plains again for a dawn game drive. 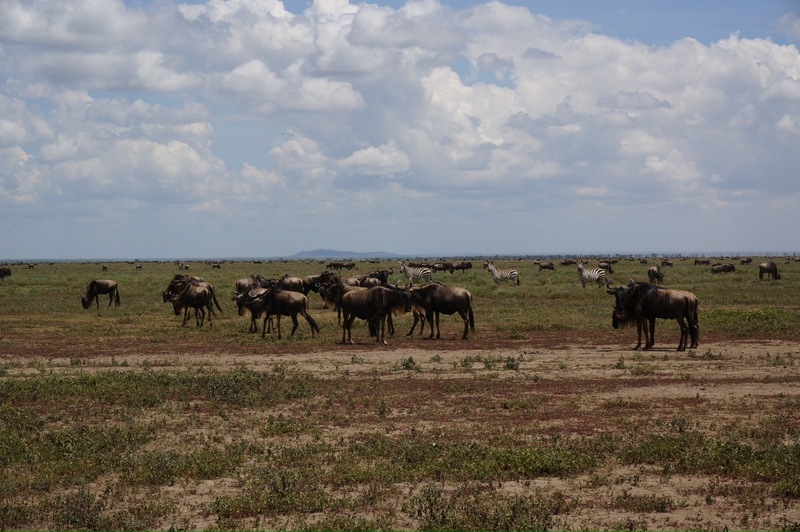 There are well over a million wildebeest there, which is hard to comprehend. You can see a few thousand right up close and what looks like hundreds of thousands more just dotting the horizon as far as you can see. 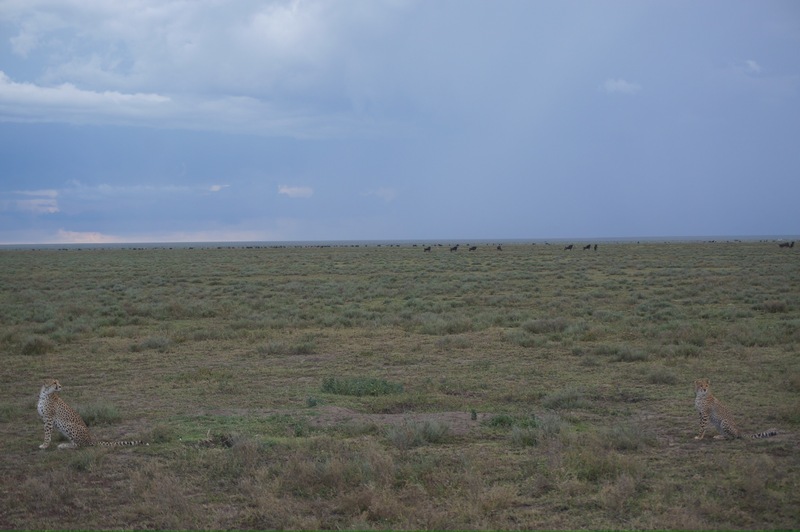 Then you drive to another part of the plains, and see an entirely different group of equal size. 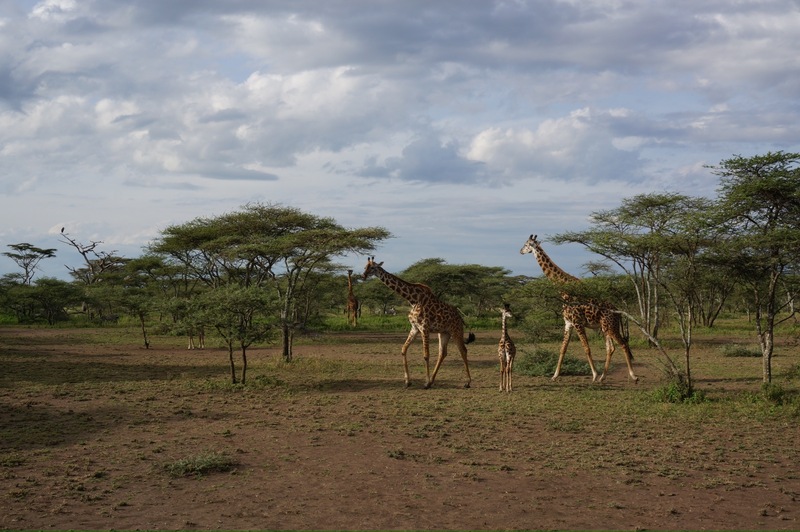 We saw a bunch more giraffes, a few lions, tens of thousands of zebras, gazelles, hyenas and even a rare feat of a mother cheetah teaching her cubs how to hunt a gazelle (she was unsuccessful). 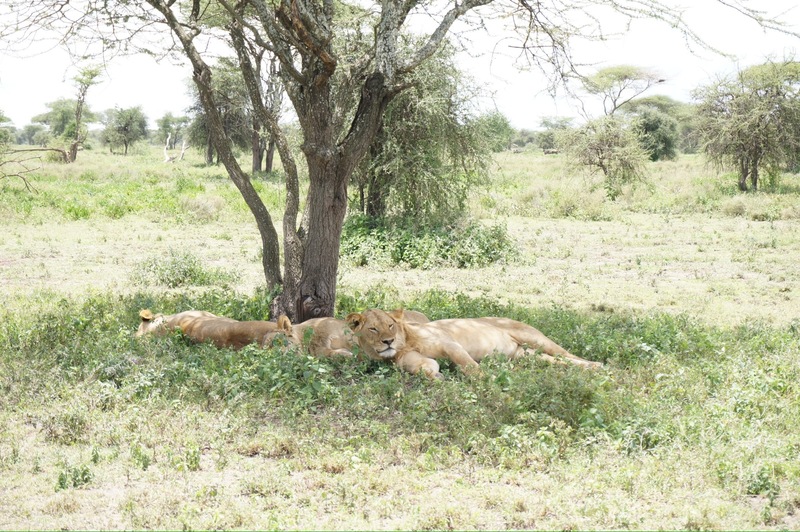 All in all, the safari was a really unique experience and Tanzania was an incredible place to do it. 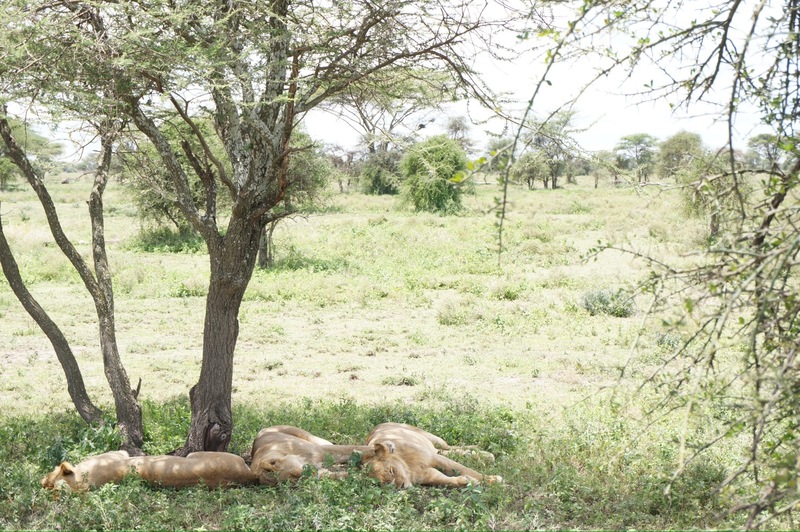 This entry was posted in Safari, Tanzania on March 13, 2013 by Dan.